Is there a way via script, powershell, reg delete, via telekinesis, whatever to reset Outlook 2013 as if no profiles ever existed and it was running for the first time ever? Still working through this one but hoping others have insight. Lots of users here have existing Outlook profiles connecting to an on-premise Exchange server. We are in the middle of our migration to Office 365. In order to migrate the user's Outlook you have to either create a new profile in Outlook or delete the old profile completely and then "start fresh". We want our users to start fresh and have the default profile name of "Outlook" for their mail profile (instead of something custom or a 2nd profile like "O365"). This is because our ERP system looks for this profile to send email while in the ERP software. The problem is "starting fresh" isn't really starting fresh. I still see "Outlook" as a profile. I tried doing a Reg DELETE of this key and all sub-keys and while it says "successfully deleted" it doesn't. It doesn't appear from the command line switches for Outlook 2013 (found here) that the /cleanprofile is still around. This will delete the default profile called Outlook, and then recreate it with no settings. Then when you re-run Outlook, it will launch the wizard. Reset the key under HKEY_CURRENT_USER\Software\Microsoft\Office\15.0\Outlook\ for first run from False to True. You will have to delete that Profiles key the registry. But, and here is the catch, that can only be done by reg delete if there is nothing running (in foreground or background) that touches these keys. Also the ERP application itself may keep these keys locked. And if you run some sort of key-chain or certification software (e.g. PGP) that may interface with these reg-keys too. If you want to script this make sure you run it as the real user. Not another admin-account. After all it is "HKLM\Currrent User*" we are talking about here. I have done this before on Office 2007 and 2010 (which should be identical in this regard). We put the delete command in the domain login-script with some additional checks to only run this once and only if the user was not migrated YET. Not the answer you're looking for? Browse other questions tagged profile microsoft-office-365 or ask your own question. 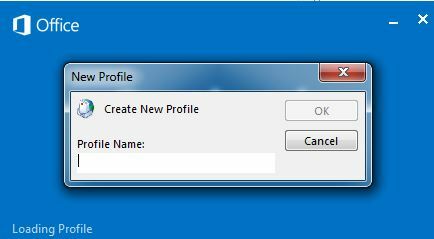 How to fix Windows 2008 R2 default profile? 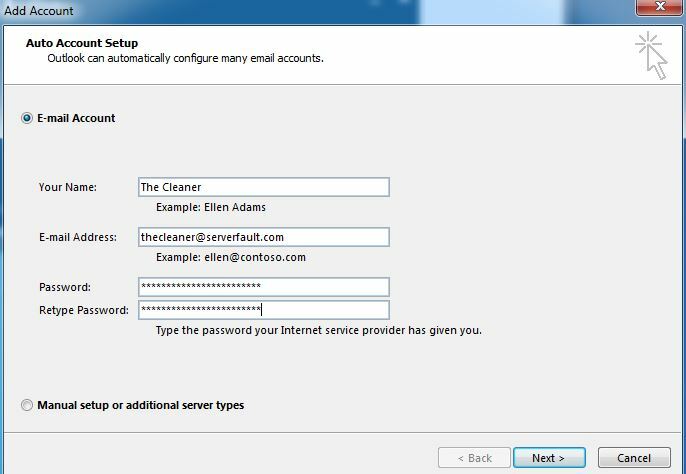 Is it necessary to re-create Outlook 2016 profiles on end-user machines when doing a hybrid migration from on-premise Exchange 2013 to 365? Is there a quick way to deploy Outlook 365 profiles from an Exchange 2013 cutover migration?